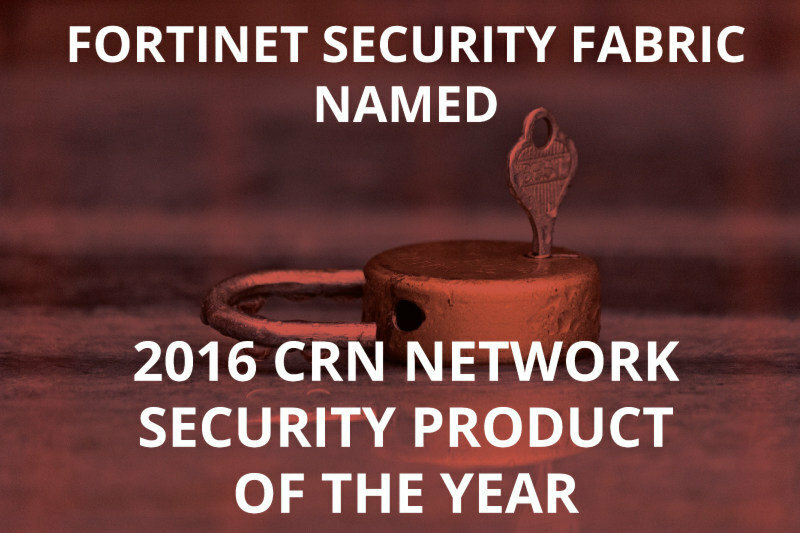 Sunnyvale, Calif., December 5, 2016 – Fortinet®, (NASDAQ: FTNT), a global leader in high performance cyber security solutions, announced that CRN®, a brand of The Channel Company, has named the Fortinet Security Fabric as the winner of its 2016 Network Security Product of the Year Award. Recognized products represent best-in-breed technological innovation as judged by CRN editors and the solution provider community at large. Fortinet (NASDAQ: FTNT) secures the largest enterprise, service provider, and government organizations around the world. Fortinet empowers its customers with intelligent, seamless protection across the expanding attack surface and the power to take on ever-increasing performance requirements of the borderless network – today and into the future. Only the Fortinet Security Fabric architecture can deliver security without compromise to address the most critical security challenges, whether in networked, application, cloud or mobile environments. Fortinet ranks #1 in the most security appliances shipped worldwide and more than 290,000 customers trust Fortinet to protect their businesses.